Raymond L. Mailloux, 73, of Wyoming, RI, passed away on Wednesday, January 30, 2019 at Kent County Hospital. He was the husband of Delia M. (Rossi) Mailloux and together they had shared 39 years of marriage. Born in Providence, RI on August 26, 1945, he was the son of the late Leo and Theresea (Caron) Mailloux. Ray served his country proudly in the U.S. Army during the time of the Vietnam War. 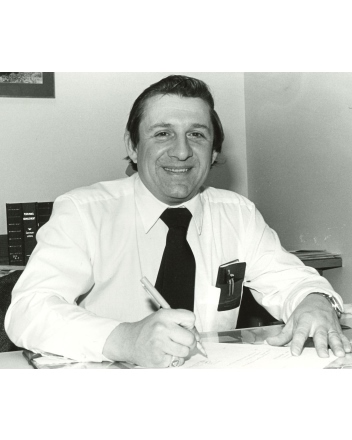 Following the service, he was a dedicated and hardworking employee for Amtrol as a Director of Human Resources for over 42 years. When he wasn’t working, he loved to golf and spend time with his golfing buddies and was an avid bowler. Most importantly, he loved his family and the times spent together were some of his most cherished memories. He will be dearly missed by all who knew him. Besides his loving wife Delia, he leaves his son Michael Mailloux and his wife Lisa; his daughter Lori Kirk and her husband Guy; grandchildren Meghan Mailloux, Jennifer DeGregorio, Nathan Kirk and Brandon Kirk; great-grandchildren Chase DeGregorio, Emma DeGregorio and Lydia Kirk; his sister Doris Kirk and her husband Ken; a sister-in-law Joyce Mailloux along with his niece Michelle Cole and her husband Jason and nephew Donald Mailloux and his wife Cate. His brother Norbert Mailloux predeceased him. Funeral services will at S.R. Avery Funeral Home, 3A Bank St. in Hope Valley on Monday, February 4, 2019 at 11:30 a.m. Burial will follow at the Rhode Island Veterans Memorial Cemetery in Exeter. Calling hours will be held at the funeral home the morning of the services from 9:30a.m. to 11:30 a.m. In lieu of flowers, contributions can be made to the Dana-Farber Cancer Institute, 450 Brookline Ave, Boston, MA 02215.